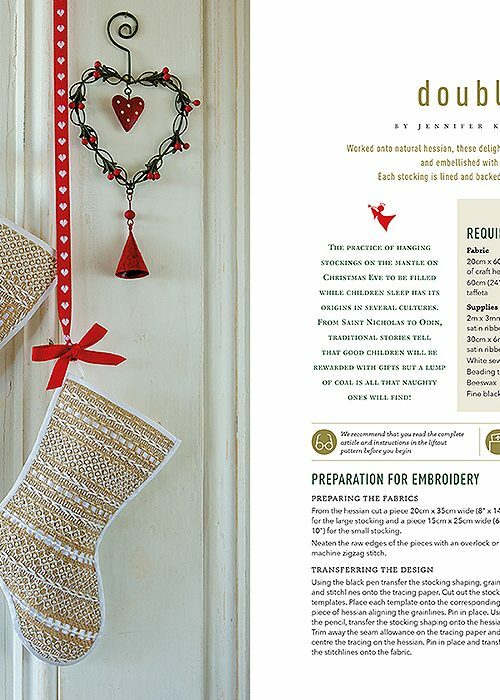 Pulled thread work Christmas stockings with contrasting lustrous perlé threads and satin ribbon with a hessian ground fabric. Worked onto natural hessian,these delightful stockings are stitched with pulled thread techniques and embellished with pearl beads and woven satin ribbons. 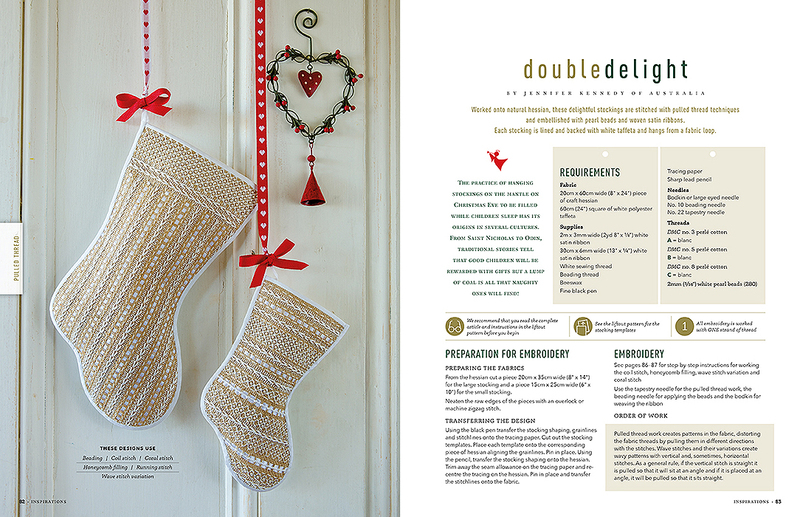 Each stocking is lined and backed with white taffeta and hangs from a fabric loop. 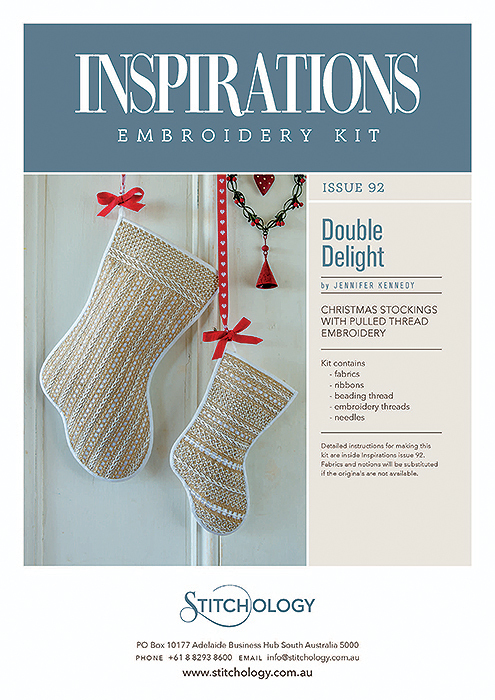 The instructions for this product are available within 'Inspirations Issue 92' and are not included with this product.